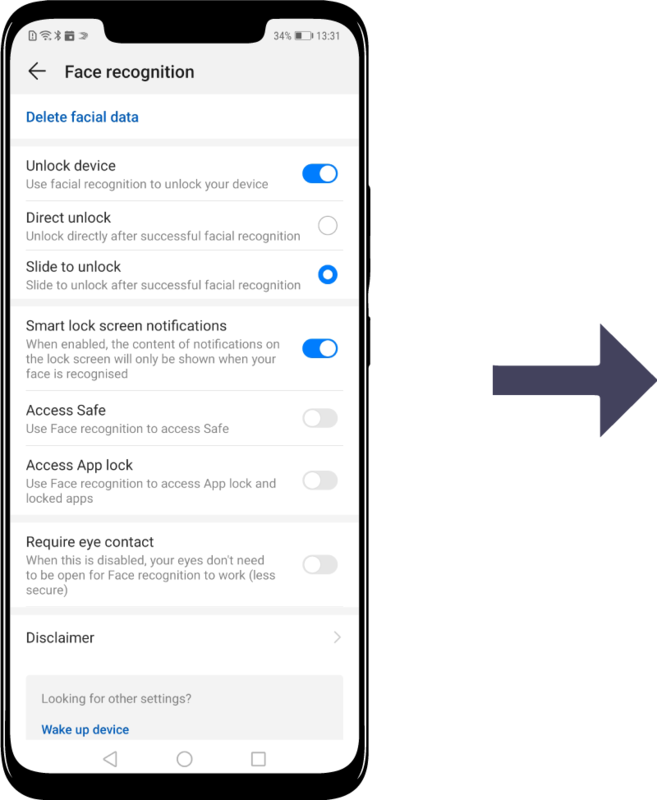 Face Recognition is a new fast unlock method which allows you to gain access to your device by just taking a quick glance. Only the owner of the phone can enable the Face Recognition function. This feature is not available for other users or guests and it is not supported in Private Space. 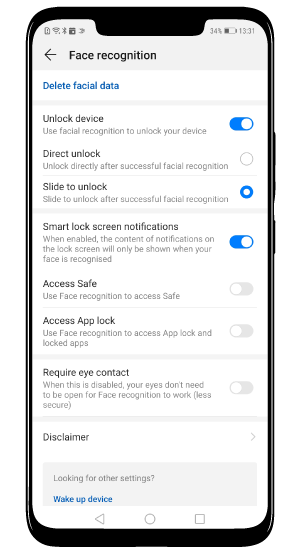 After restarting your device you need to re-enter your PIN or Pattern in order to enable Face Recognition unlock. You will also be asked to input your PIN/Pattern if you have not used them for more than three days in a row. In order for the Face Recognition feature to work properly, keep your eyes open and look directly towards the phone. Avoid using this feature in dark places or when facing direct light. Open Settings, go to Security Privacy and select Face recognition. Enter your screen unlock password. 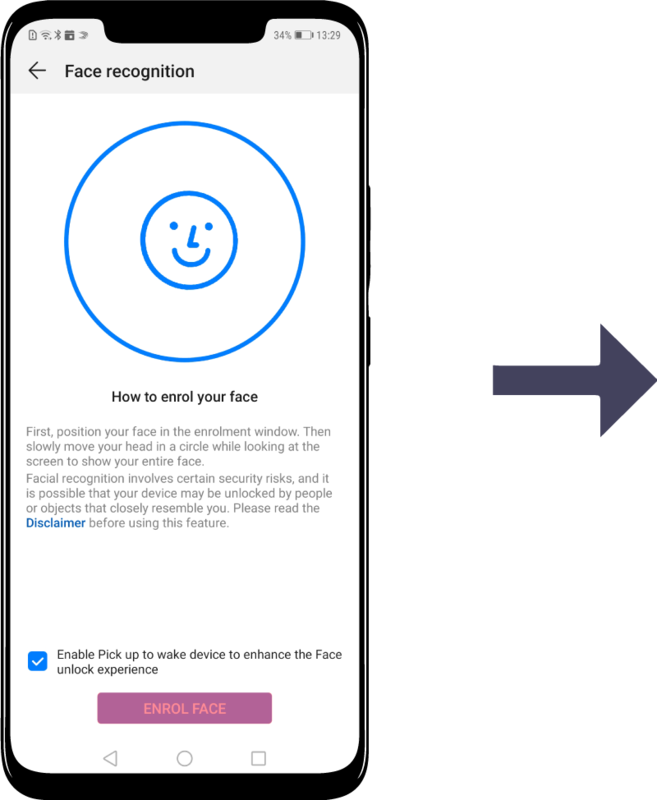 If you want the device to identify your face and unlock the screen automatically when you pick it up, select Enable Pick up to wake device to enhance the Face Recognition experience. If you don't want to use this feature you can disable it. 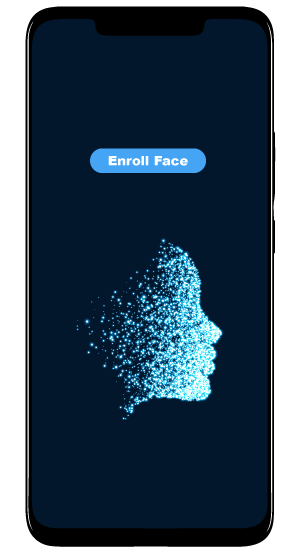 Then tap Enroll face and follow the on-screen instruction in order to register your face in the system. 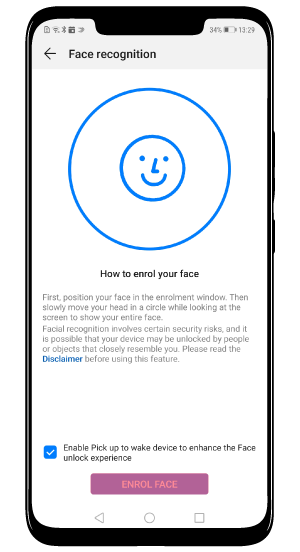 - Direct unlock; in this case, when you turn on the screen the device identifies your facial features and unlocks the phone. - Slide to unlock; after the device identifies your face, you have to swipe the lock screen in order to unlock the device. 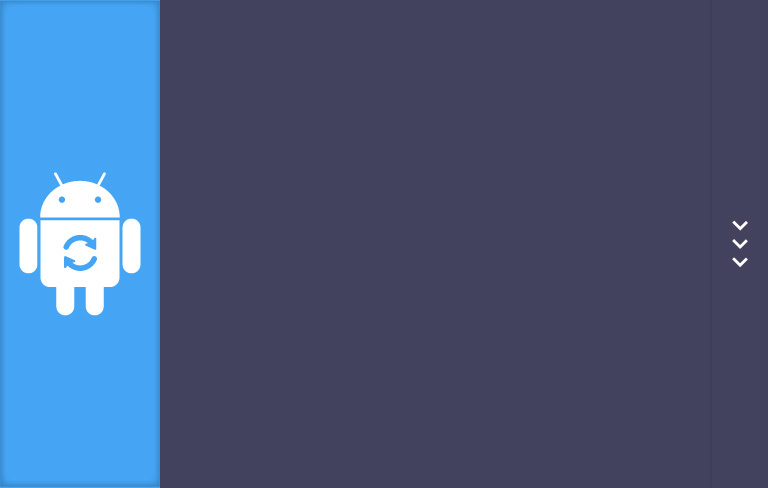 - Smart lock screen notifications; in this case the device hides the notification details and displays them only after Identifying your face. - Access App lock; you can use this feature to lock your apps using Face Recognition.